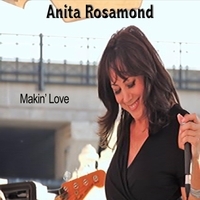 Anita Rosamond is the ultimate midwest entertainer with a home base in St. Louis, MO. This single along with her up and coming CD, "Dreams Do Come True" were recorded in Nashville, TN. Produced by Harry Lynn Shields owner of HUGE RECORDS and mixed by Grammy Award wining engineer, Chuck Anilay.